Tonight, I decided to cook and try a different type of food. 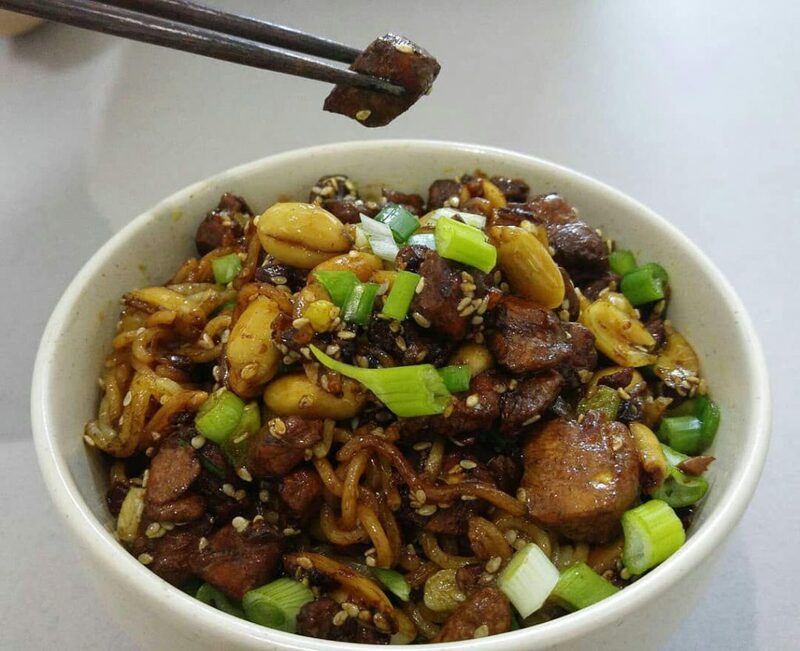 What about a bowl of delicious Chinese noodle? I’ve never tried one, so I googled it and found a good recipe. I started by dicing some ingredients including some chicken breast, onion, and garlic. I also removed the peel of half of a cup of peanuts. 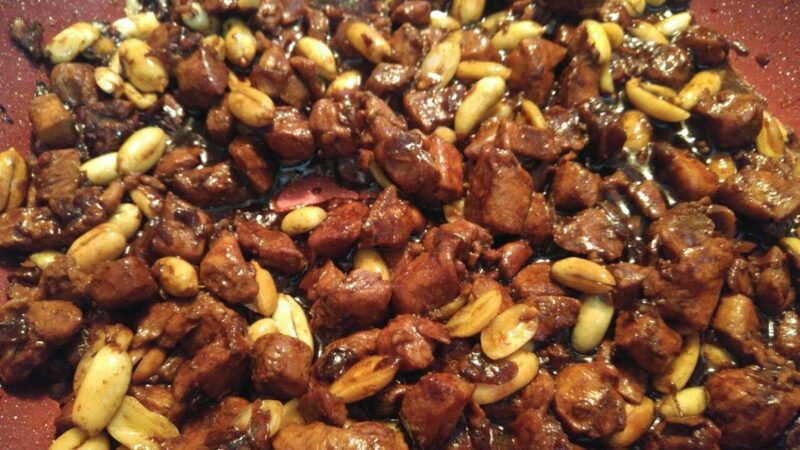 I added some olive oil to a hot pan, and I added pieces of onion, garlic, chicken, and peanuts to it. After stirring for a couple of minutes, I poured some soy sauce. Then I sprinkled a pinch of salt and some garlic powder. In the next step, I added a little water and turned the oven down and let it cook slowly for a quarter. Simultaneously, I put a saucepan of water on the heat and brought it to boil. What I added to the pot was two packs of noodles. 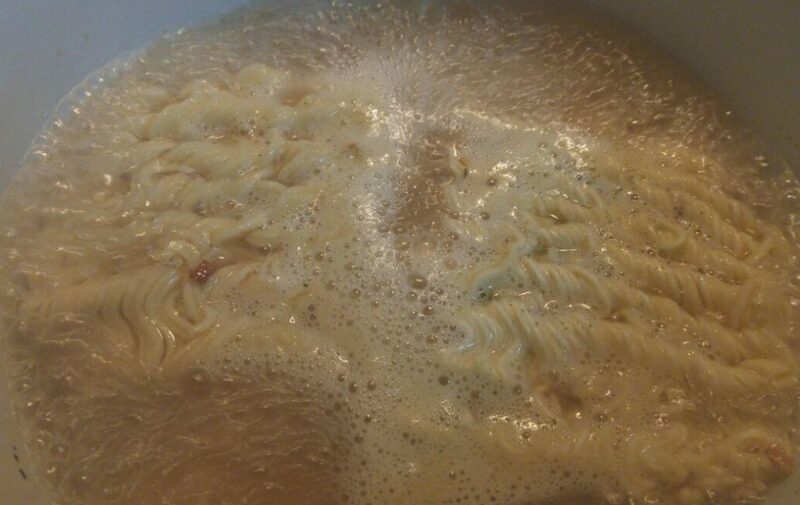 After 5 minutes, noodles were drained and stir-fried for a couple of minutes. Finally, I tossed noodles with the peanut sauce and sprinkled some sesame seeds. I put noodles in two beautiful bowls and garnished it with some slices of green onions.